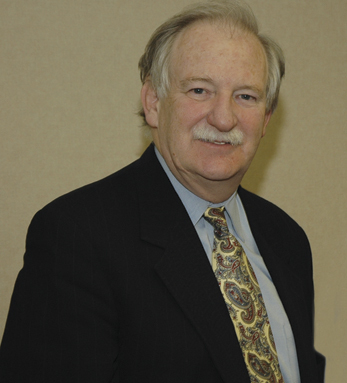 For many Irish and Irish Americans, Bruce Morrison is best-known for pioneering the Immigration Reform Act of 1990, which increased the total visas granted by 200,000 and included 48,000 for Irish immigrants (now called the Morrison Visas); but this is just the best known of his work on Ireland. Morrison, who was raised a Lutheran on Long Island, has not taken a straight course towards Irish causes. He has been at various times a lawyer, a lobbyist, a U.S. Congressman, a bank regulator as chairman of the Federal Housing Finance Board, a grassroots campaigner, and a chemist, but what he will be most remembered for among the Irish community is his significant contribution to the peace process in the 1990s. Morrison has long held justice for the overlooked as a top priority, though began his professional studies at MIT in chemistry. He graduated in three years and moved to the University of Illinois, Urbana-Champaign to pursue a Master’s in organic chemistry. There, Morrison founded and chaired the Graduate Student Association and in a turn of pace was inspired to apply to Yale Law School . He graduated from Yale in 1973 after forging life-long friendships with classmates (including Bill Clinton and Hillary Rodham) and went to work for the New Haven Legal Assistance Association, which provided legal aid to New Haven’s poor. In 1982, Bruce shifted courses again, running as a Democrat in Connecticut’s third congressional district. He won and spent the next eight years in the U.S. House for Connecticut, focusing on humanitarian causes. In 1983 he joined the Friends of Ireland, which counted among its members Tip O’Neill and Ted Kennedy, and in 1985 joined the Ad-Hoc Committee on Irish Affairs at the invitation of Richard Lawlor. In 1987 he took his first trip to Dublin and Belfast where he met with Irish and British officials, including Sinn Féin leader Gerry Adams – with whom, at that point, the American government still refused to communicate. Morrison left the House in 1991 to unsuccessfully bid for the Governor of Connecticut, but his defeat ultimately led to some of his most important Irish work. Traveling frequently to Ireland and the North, the former congressman became one of the Americans for a New Irish Agenda (ANIA), a group that included publisher Niall O’Dowd and fellow Hall of Fame honorees Chuck Feeney and Bill Flynn. Over the next few years, ANIA would continue to assist with negotiations, leading to the IRA ceasefires of 1994 and 1997, and, also in 1994, the U.S.’s decision to grant Gerry Adams a 48-hour visa , allowing him to attend a peace conference held by the National Committee on American Foreign Policy. He currently lives in Bethesda with his wife, Nancy, and their son, Drew, and still practices as an attorney as head of the Morrison Public Affairs Advocacy Group, which he founded in 2001 and provides strategic advice and representation to a range of clients, specializing in immigration.